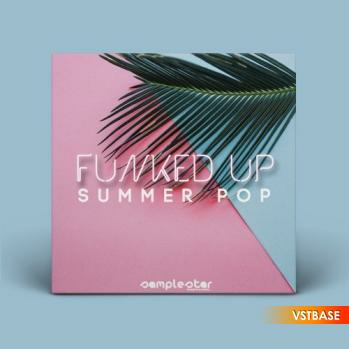 Samplestar are very proud to present Funked Up Summer Pop! Looking for feel good, funky summer vibes in a sample pack? Get ready to produce your next summer banger with this essential fusion of sun drenched funk and contemporary pop. Featuring everything from classic Nile Rodgers -esque guitar licks through to Bruno Mars inspired 80s Minneapolis electro-funk, Funked Up Summer Pop delivers the essential tools for producers looking to inject some up beat summer love into their tracks. All content has been perfectly mixed and eq’d for optimum sonic balance while allowing plenty of extra headroom for further processing and also final mastering stages. We have also included midi files for all melodic content giving the end producer 100% control to change tempo, velocity or key and also customize the stems to your own exact requirements. Get that slick pro-sound straight out of the box and take your productions to the next level! • Full Song Starter Inspiration Kits: 5 x Huge Key-Labeled track starter kits of combined Drums, Bass, Synth, Melodics, Vocals broken out into individual professionally mixed and mastered Wav stems. - (Including: Full (.MIDIs) Files). • Classic Funk Basslines: 10 x “bootsy” licious funked up low end grooves. - (Including: (.MIDIs) Files). • Synth And Keys Loops: 10 x vintage synth & keys chord progressions and motifs. - (Including: (.MIDIs) Files).